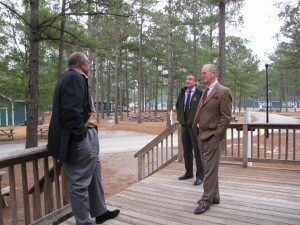 (Left to Right) Dr. Monroe joins Cary Andrews and Baker Mitchell on a campus tour at Charter Day School in Leland NC. LELAND, NC: April 13, 2012 – “We are happy to introduce Dr. Lee Monroe as the newest member of the Charter Day School Board of Trustees,” said Mark Cramer Superintendent and CEO. Charter Day School announced that Dr. Monroe will be the ninth member of its Board of Trustees. “Dr. Monroe is a great addition for a trustee because of his strong community ties, extensive education experience, and his dedication to the advancement of all students regardless of their background,” said Donnie Norris, Board Chair, Charter Day School. Dr. Monroe’s career in education is long and distinguished. Dr. Monroe holds a Bachelor of Arts degree in Elementary Education from Shaw University, a Master of Arts in Education from The University of Cincinnati and a Doctorate of Educational Administration from Virginia Polytechnic Institute and State University. Throughout his professional career, Dr. Lee Everett Monroe has earned accolades for his results-driven approach to educational administration. Dr. Lee Monroe’s professional background includes a number of different educational and administrative roles, including time as a teacher, Regional Educational Specialist, Adjunct Professor, and Senior Education Advisor. In the latter half of his career, Dr. Monroe focused primarily on improving the academic and financial standing of several colleges with historically high populations of black students, including Florida Memorial College (now Florida Memorial University), where he spent two years as President, and Paul Quinn College, where he spent nine years as President. 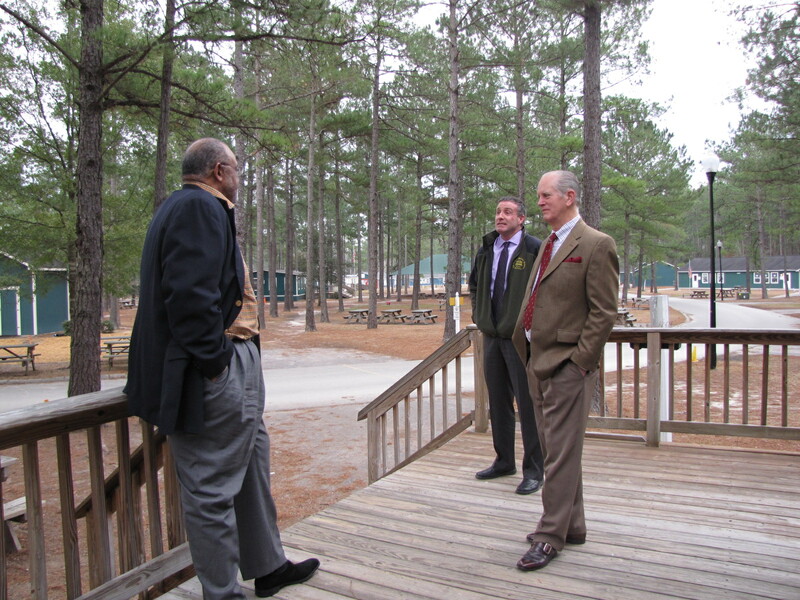 Dr. Monroe recently joined school administrators to welcome Dr. Howard N. Lee, former N.C. Board of Education chairman on the Charter Day School campus for a tour and discussion. Read about the visit HERE.